To bring different campaigns and communities together so that we can begin to collectively address the challenges ahead. The conference is an initiative of The Monitoring Group, co-organised with the Centre for Crime and Justice Studies and supported by Imran Khan and Partners and South Bank University. 10.35am: Session 5 - An agenda for change: Are public inquiries a route to justice? Britain is at a cross road, its citizens tormented by an uncertain future. The current state of racism in the UK is alarming. There is no sphere where racism does not prevail: at the workplace, in schools and universities, on the streets, in the playgrounds and within public and private institutions. The government-led strategy of creating a ‘hostile environment’ towards vulnerable new arrivals has also been applied against settled Black communities with devastating dehumanising consequences. The treatment of Black and Asian individuals in the Criminal Justice system adds another depressing layer to the current discriminatory experiences of stop and search and deaths in custody. In his review, David Lammy warned, 'the disproportionate number of BAME young people in the justice system is a social time bomb. It is beyond time to stop talking about the problem and to act'. The use of the discriminatory 'Gangs Matrix' by police, coupled with moral panic around violent crimes, has reinforced negative stereotypes against black working class youth. It has done little to halt brutal and senseless deaths on the streets. The spike in ‘hate’ crimes (over 70 per cent of these are racially motivated) witnessed during and after the Brexit campaign has not receded. In some parts of Europe, extreme-right and anti-immigration parties have become partners in government. This poses a new challenge for us in the UK where forces of nativism and fascism are also beginning to gain strength. Just like the Irish before, Muslim communities today are collectively viewed as 'suspect'. So too are thousands of women and men involved in peaceful protests, trade union activities, and Black and Asian justice campaigns – the revelations they have been spied upon by 'undercover' police officers, some of whom were specifically targeted and lured into sexual relationships, are deeply 'shocking'. And what of the hard fought human and social rights for workers, women, minorities and poorer sections of our society? Will they be preserved in Post-Brexit Britain? Community support in UK’s diverse working-class areas has been decimated by austerity, making it even harder to hold the state to account. The ominous signs are there to be read. Do we need a weather presenter to tell us which way the wind is blowing? It is time to build and act on a new vision for the future. As a first step, we need to learn the lessons of past and current struggles. The event will be addressed by a representative mix of campaigners and experts. 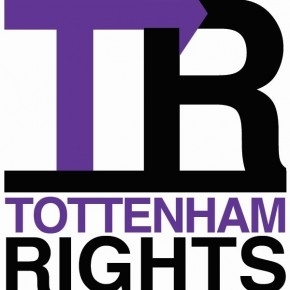 It promises to be unique, we hope an inspiring, event, bringing together families, lawyers and activists involved in seminal campaigns that changed Britain – such as those closely associated with Public Inquiries on Bloody Sunday, Stephen Lawrence, Hillsborough, Broadwater Farm, Undercover Policing and Grenfell.